Low pressure atomizers perform as we do not need high pumps to create mist, avoiding leaks for your everyday cooling. When clouds of mist are released, it quickly evaporates into gas resulting to cooler surroundings. 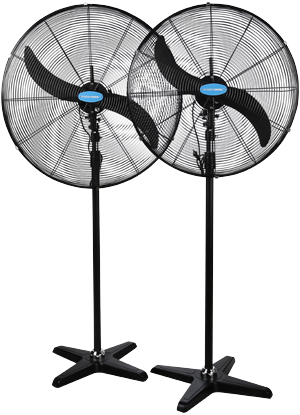 The Mistercool Fans are produced with thicker coating, resulting to a more durable fan grille that can withstand the harsh elements. The grilles are also pre-treated to ensure maximum metal preparation. This makes it harder for the item to be affected by external forces.